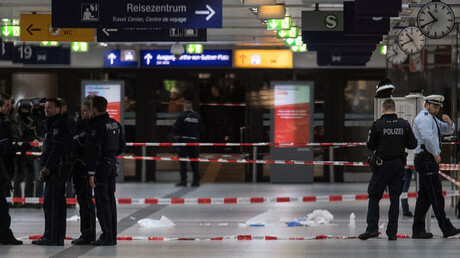 A person suffering from cuts has been found in the German city of Dusseldorf the day after nine people were injured in an ax attack at the city’s main train station. Police have launched a manhunt, which ended without success. The incident occurred in Dusseldorf’s northern district of Kaiserswerth. Police have confirmed that a man that was found “has cut injuries and is now being treated in a hospital,” although they have been yet unable to reveal any further details about the situation. The law enforcement also said in a statement that the victim of the assault is 80 years old, adding that his injuries are thought not to be life-threatening. A large number of officers have been deployed to the scene amid increased security measures in the city, which were taken following Thursday’s ax attack, a police spokeswoman. According to the press release, special forces units and helicopters have been called in to find the unidentified attacker. The police spokeswoman also said authorities have no evidence so far indicating that there might be a link between today’s incident and Thursday’s assault. However, later police said in another statement that officers failed to detain the suspect during the manhunt and eventually were forced to stop the search for him. However, the investigation of the incident continues. In the meantime, the number of people injured in the Thursday ax attack has risen to nine. Four men and five women are among the injured, police announced, adding that one of them is 13 years old. According to police, the perpetrator of Thursday’s assault has “paranoid schizophrenia.” Officers found medical documents confirming that the suspect had mental illness as they searched his apartment in Wuppertal. 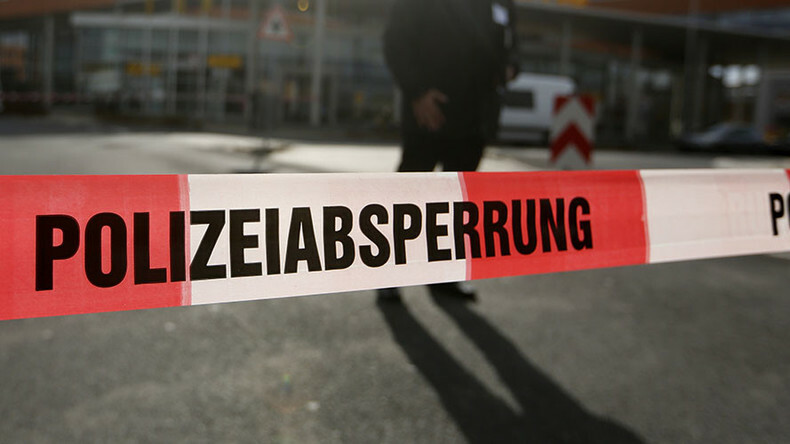 In the meantime, police also revealed that another attack committed by person wielding an ax occurred in the German city of Magdeburg around the same time as a similar incident took place in Dusseldorf. On Thursday evening, two masked men, who remain unidentified so far, attacked another man, 29, who was sitting in his car. One of the attackers was wielding an ax while the second one had a baseball bat. They smashed the windows of the car and hit it with the ax. They also attacked the victim directly, but he sustained only “light injuries” as a result of the incident, German MDR broadcaster reports. Police already detained one of the suspects, the German media reported, adding that he is a 34-year-old Magdeburg resident.